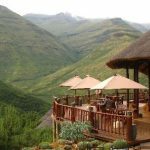 Afriski, nestled high up in the Maluti Mountains of Lesotho, is host to both the 2011 SA National Ski Champs and the SA National Snowboarding champs. The final day of the SA National Alpine Ski Champs saw an unprecedented 77 Skiers register to compete. The competitors spanned from 8 years old to 69 years old, and competed in the highly technical snow sports discipline of Giant Slalom. Skiers race down a timed course of 1000metres of groomed snow and have to maneuver in between gates, missing a gate results in disqualification. “Today we had the Giant Slalom, which is the best event. We changed the program around a little bit because of the weather conditions and it was a good choice because we had the best day in African mountains. Such great weather, great event, everything ran on time except my own run which wasn’t the best one but I suppose next time I’ll set my skis a little bit tighter. From all the competitors I have heard that it was not just about sport, it was about friends and enjoying the snow and mountains, we’ll only improve from here,” Janko Krevin , competitor. Womens Final saw an upset, as reigning champion Andrea Harmsen falling in her second run and missing a gate picking up a disqualification. The field was then left wide open for Laura Bauer to scoop first place, with Lorinda Reeders taking second, and Funeka Booysen securing third place. “The race today was quite difficult because I was skiing with the international skiers, my competitors. The course was quite difficult but my first run was actually better than my second one and I came third overall,” Funeka Booysen (18 years). 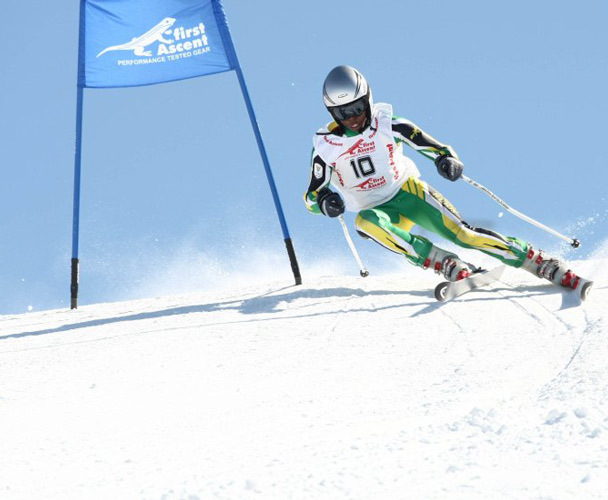 The Men’s Slalom race was won by Alex Heath, the National Alpine Ski coach. 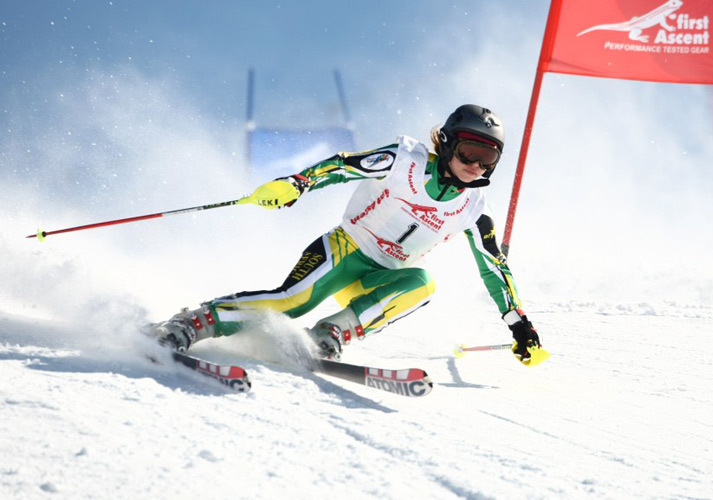 Heath has held the SA National Alpine Ski Champ since 1994, and represented South Africa in Alpine skiing in the Olympics 12 years ago. “Today was a great race; it was really great to see how the youngsters are coming through. Pretty soon I’m going to have to watch out, because they’re getting quicker,” said Heath.